​Live like a Bond Villain! Our ultra cool circular Penthouse Apartment​ is styled with a sophisticated, vintage inspired decor, reminiscent of a classic Bond film. 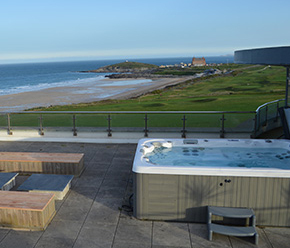 So take in the breathtaking views from your glassy lair, view the little people (and surfers) on Fistral Beach from the comfort of your 8-person hot tub, create divine meals or maybe just a cocktail in your sleek white kitchen​ - and when the evenings draw in retire to your mammoth super deluxe bedrooms for the best night’s sleep you've had in years! Take a sneaky weeklong or weekend break to our super deluxe Pentire Penthouse before ​ March 2018​ and you can get 20% off standard rates if you book NOW!​ Peaceful Pentire Headland is perfectly positioned: just 10 minutes walk from the huge golden sands of Crantock (a National Trust Beach), not to mention the ever popular Mawgan Porth, or nearby tiny secret cove: Poly Joke. 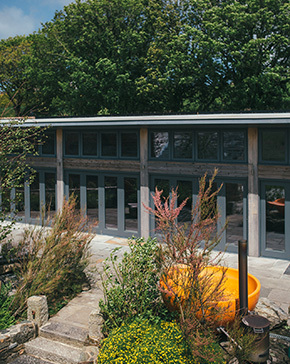 You’re also a short drive away from all the rest that Cornwall has to offer from the Eden Project to the National Gallery at St Ives, via the Minack Theatre and beyond. 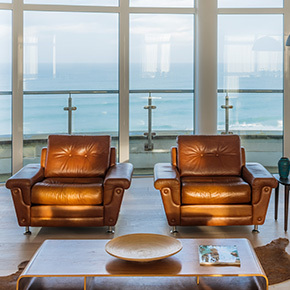 The Penthouse is excellently accessible too – not in, but near enough to Newquay to be able to use its facilities if need be! (20 mins to Airport, 5 mins to the train station, plus plenty of high street shops and restaurants eg. Rick Stein's takeaway, Fat Face etc). 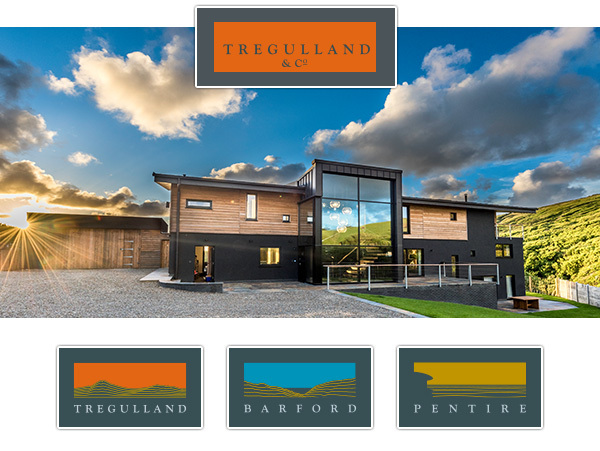 Our fabulous new websites for ​Pentire and Barford are ready and waiting for you! 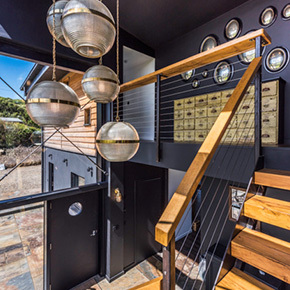 Have a good old nosey at all the ​photo galleries, check out the ​floor plans so you can bagsy the ​best room, see what ​facilities there are in the house, and whats in the area, and read what others have to say about their stay. 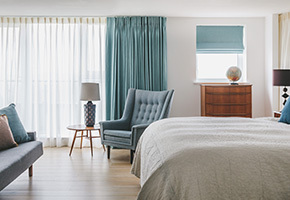 You can also check the prices and booking calendar and book instantly online for your special holiday - so have a good old rummage around in our property drawers and see which house you fancy! EVERY HOUSE COMES WITH A HOT TUB! So kick back and relax with a glass of something fizzy in your hand (polycarbonate champagne flutes supplied) and catch some rays (if you're lucky) or possibly marvel at the English climate and luxuriate in toasty warmth while you watch the weather roll by.